A ghostly elegant expression of sorrow, self-doubt, and searching, Loose Wing’s “Beverly” will leave you hollowed out and humbled. You don’t need to have had your mid-life crisis in order to empathize with Loose Wing’s emotionally turbulent new song. Few folks really know who they are, what they’re doing, and where they’re going – and those who say they do are lying. We’re all trying to make things work as we go down our own respective paths, justifying each step we take along the way. Life is an imperfect system, but it’s far easier to say or type those words than to actually internalize them. Loose Wing’s “Beverly” brings to life the vivid pain of such anxiety and loss of self, using the lens of a fraught relationship to explore the deeper emotions and mechanics at play. So I guess you want to self destruct then huh? 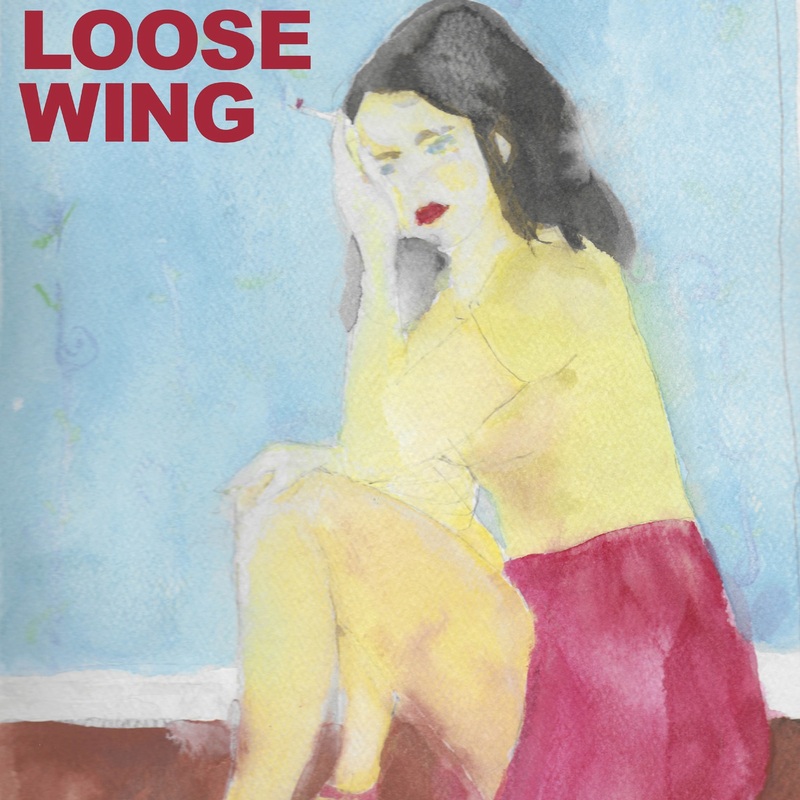 Atwood Magazine is proud to be premiering “Beverly,” Loose Wing’s first release of 2019 and the lead single off their self-titled debut album (out March 22, 2019). 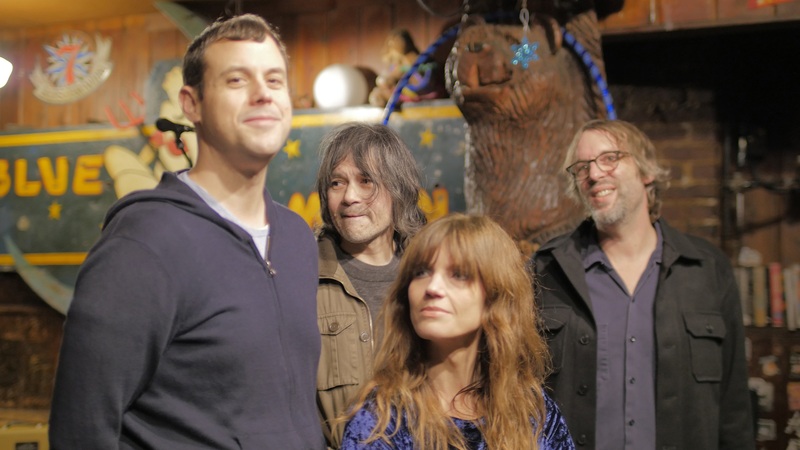 The Seattle-based four piece of Claire Tucker (guitars, vocals, keys), Jack Peters (bass), Rusty Willoughby (drums, percussion), and Bill Patton (guitar, pedal steel), Loose Wing are an experimental indie rock / indie pop band with a light, grungey twist. Steeped in a flurry of melancholia, “Beverly” is a fitting introduction to Loose Wing’s sound and style, highlighting their tendency toward mellow sings with a heavier weight. why are your paintings always so lurid? According to Tucker, “Beverly” blurs the line between fiction and reality in its depiction of inner conflict and its external manifestations in everyday life. Can’t you give her just a little shock? Loose Wing paint a musical spiral of despair, sucking joy from the air as “Beverly” dwells in a dark place of hopeless despondency. The song very much feels like Tucker’s own hearty lament, and perhaps indeed it might best be appreciated that way. The Beverly character represents so many of us who are lost on our own little dingy, floating in an ocean with no land in sight. What on the surface feels like a dispute between two people, is really a dispute between one. This is a massive understatement but creative pursuits are not taken seriously unless you figure out how to monetize them. Which is next to impossible, so I’m trying to decide if I am the kind of person who can be scrappy and just work enough to carve out a minimalist living with the bulk of my time spent on music, or if I’m the type who can just let music be an evening and weekend hobby. These are definitely unresolved issues and I feel like I’ve been in some form of crisis for several years, and I’m not sure I’ll ever figure this stuff out. So yeah, I feel like the lyrics to ‘Beverly’ are less a depiction of our actual marriage than a metaphorical portrait of my own internal conflict. I’ve lived with some form of depression pretty much my entire adult life. I tend to be pretty dark and pessimistic and my outlook is basically that day-to-day life is full of stomach flus and broken-down cars and unforeseen expenses, but the bright side of this outlook is that most of that stuff doesn’t surprise me when it happens, and anyway I still lead a pretty privileged existence if those are the worst types of problems I deal with most days. I’ve come to the conclusion that it’s really important to build up my own little supply of beauty in the form of music, friendships, even just little things like sleep or a hot shower. I’m not really a spiritual person, this is just about figuring out what it takes to milk some joy out of existence for myself and my loved ones and make sure I notice when the joy happens. This can be very challenging for someone with depression and anxiety, and it requires tuning out a lot of negativity in terms of the news, social media, and just trying not to take on the full weight of everyone else’s struggles. I am trying to be very conscious about it. So this might be a stretch but I’ve got to tie it back in to the song somehow… So maybe the more uplifting chord progression and string arrangements at the end of ‘Beverly’ are a reflection of that outlook somewhat, once you get past the darkness and the relational claustrophobia, there is still hope for some kind of transformation or joy. A ghostly elegant expression of sorrow, self-doubt, and searching, “Beverly” will leave you hollowed out and humbled. 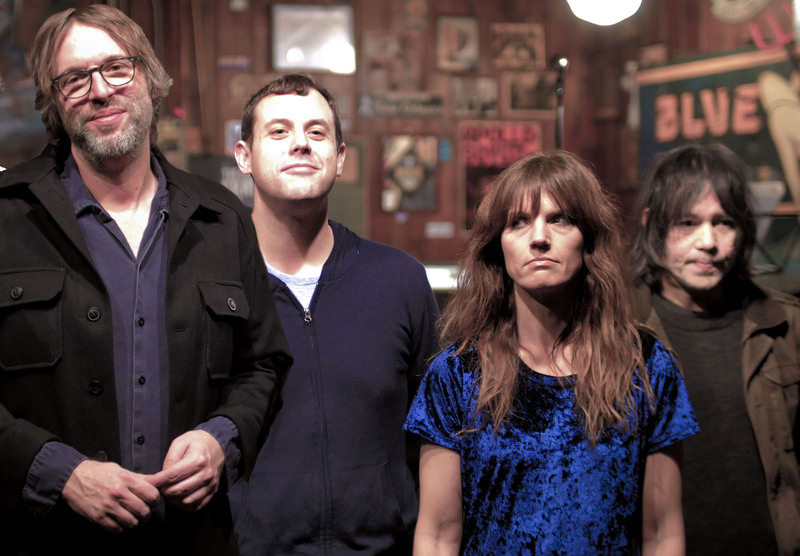 Stream Loose Wing’s new song exclusively on Atwood Magazine!